Identify a business case, then start small to scale fast. With consultants and white papers citing the trillion-dollar returns to be had by applying the latest digital technologies to industry, it’s easy to get caught up in the hype. And especially since the typical industrial operation has limited resources and is staffed to maintain operations—not reimagine them—deciding among the myriad possibilities to pursue can lead to paralysis and inaction. But it doesn’t really have to be that hard. Start with a measurable business case, such as an important metric or KPI the plant is not consistently hitting, Karsanbhai suggested. Emerson groups these metrics into four main areas: safety, reliability, production and emissions—which includes energy efficiency. Target the ones that matter most, make improvements, then scale investments step-bystep, based on value. “And make sure that the investments are in people as much as in infrastructure,” Karsanbhai added. To bring this methodology to life, Karsanbhai described a practical roadmap for personnel safety, starting with an existing manual system, with periodic or ad hoc reporting. To add more real-time visibility, add monitoring of safety showers, fire extinguishers or a safety gate, so “at least you know something happened.” Next, add equipment monitoring to assets that can disrupt production or contribute to a personnel safety issue. Then pair wearable technology that enables location tracking together with intelligent camera systems “and you have a clear picture of where each person is throughout the facility, making mustering easier and improving response times in man-down situations,” Karsanbhai explained. It’s an approach that I think makes a tremendous amount of sense, and an offer that I think you’ll soon see echoed by other industrial automation companies. 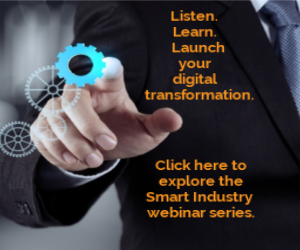 Automation systems, after all, are the original digital foundation of the industrial enterprise: leverage those suppliers’ domain expertise to assess your capabilities and chart a practical path forward.